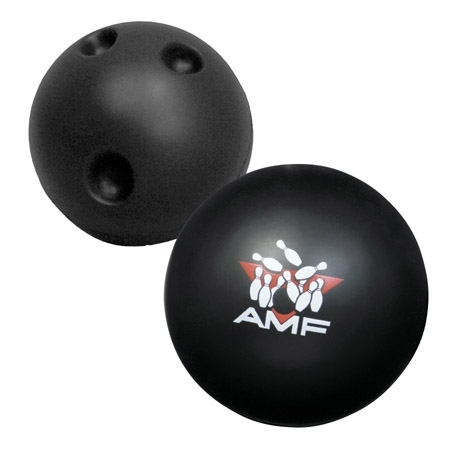 Don't strike out with your customers; order this fun bowling ball shaped stress reliever. Promotional Bowling Ball Stress Balls are made of Squeezable polyurethane foam. Bulk / 19 lbs / 150 pcs. / 22x15x14box. Imprint Area: 1.5" x 0" Dia.